Recently, I’ve been living in a world of live music. I couldn’t be happier. While there is more to come on the Firefly Festival I was at in Delaware this past weekend (Cake, Fitz & the Tantrums, Modest Mouse, the Black Keys, Jack White, Mariachi El Bronx, the Wallflowers, OK Go, Yeasayer) I’ve since then seen another excellent live show. 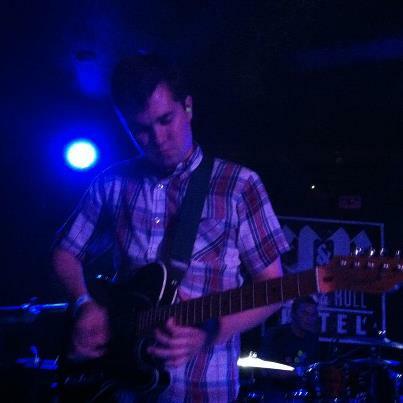 Surfer Blood played DC’s Rock and Roll Hotel on H Street this past Tuesday night. After being at a festival with some 20,000 people all weekend, I finally felt at home at a small club with maybe 200 or so people. The boys play punk when they’re live, experimental guitar movements and all. Hailing from West Palm Beach, FL they can hold their own as pioneers of the new surf rock. Having mastered their instruments, they stay true to the sounds of their records and continue to innovate. John Paul Pitts on lead guitar and vocals is their fearless leader, conducting the set while playing some of the best rock guitar I’ve seen. With Thomas Fekete on yet another lead guitar and Kevin Williams on bass, they play like a chorus with their sonic waves quite literally washing over you. Pitts’ vocals are angelic while remaining raspy live. It’s a marvelous combination. Their drummer, Tyler Schwarz, is simply excellent. You’d think he was a drum track. The nature of their records forces him to stay in line. He’s a master at the building blocks of rhythm. Pitts told me after the show that although it’s finished, we can’t expect their new record until early next year (delay is due to an overseas manager.) We should all be excited for it. The new tracks they played on Tuesday sounded just like them: mature and developed. The path this band is building for themselves is impressive. They’re excelling at exactly what they want to do. If you haven’t been paying attention check out Astro Coast, out on Kanine. 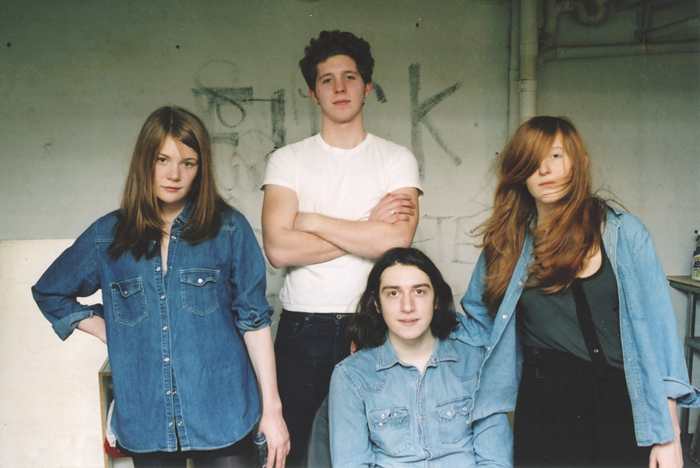 And their follow up EP, Tarot Classics. Grand Rapids, the latter of two opening bands, killed it. It almost felt like a Grand Rapids show. They’re so velvety. Alex Niemetz on bass and ‘occasional’ guitar stole the show for me (as did her over-sized Nirvana Nevermind tee shirt.) This Manhattan band had a leader, Dan Lardner, that sounds like Lou Reed live and gives out his pressings to fans for $2. Grand Rapids has been around since 2009. Please check them out and spread the word.